Add a little razzle dazzle to your studying!! This self-paced, online program is an essential resource for students who want to prepare for their certification exam, as well as current fitness professionals who want to review and refresh their knowledge base. 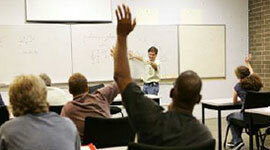 This program includes eight interactive modules that cover all of the core content included in the W.I.T.S. 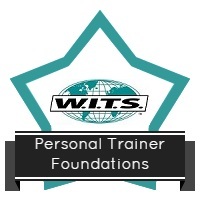 Personal Trainer Certification courses, a practice exam and much more! You will also have access to all of the video clips. Textbook chapter reviews, and external resources to help you better understand the content and lessons. You will have 24-hour access to this online course and will be able to study and review the materials at your own pace, in your own home, and a time that is convenient for you! Fitness Professional’s Handbook, Sixth Edition, provides comprehensive information on the fundamentals of fitness, exercise physiology, and biomechanics. Readers will better understand the role of physical activity in the quality of life and guidelines for screening, testing, supervising, and modifying activity for various populations. As such, it is a useful text for students and a valuable reference for practitioners. Need the book? Click here!